Hey folks, check this out. 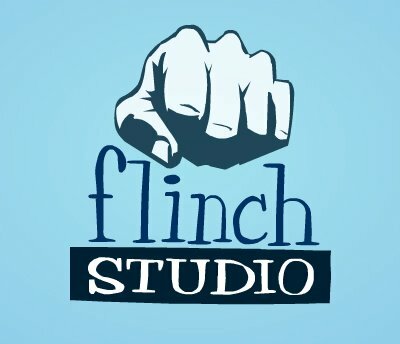 For the last few months we've been working with the notorious Tony Grillo at Flinch Studio on damn I dunno at least a half dozen projects. But one of the coolest gigs by far has been "Popped Culture Theatre"for Yahoo! and Pepsi Smash. We've done 4 episodes to date, you can see them up on the site (link above). I believe there are like 6 or more left to complete. Now I won't list just who we'll be doing the episodes on much to the liking of all the boys and girls on the message boards but I'll tell you this, the next musician or musicians are from Britain and is/are nasty badboys. We just started on it yesterday, it should be ready in the next few weeks. Check out all the intellectual comments and rants that people have regarding these Flinch/Fatkat Cartoons here on the Yahoo! 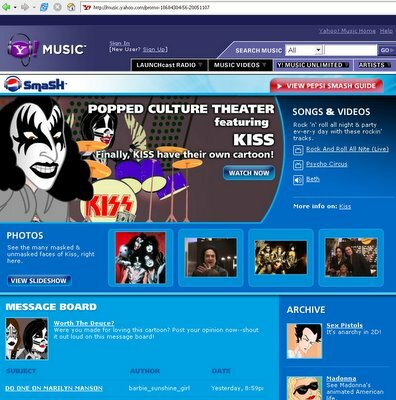 | Pepsi Smash message boards regarding Popped Culture Theatre here.